Help, there's an emergency in Gizmo Land! An unknown device has crashed into Kurt the Mechanic's garage. After sharing the alarming news with his friends, the trio decides to look into the incident. A search of the crash site reveals a coded message from a distant planet. Can you help Kurt shed some light on this mystery? Gizmos: Riddle Of The Universe is rated 4.0 out of 5 by 28. Rated 5 out of 5 by murphie12211 from A real challenge Finally, a griddler that makes you think. Although I like the others, Fantasy, Rainbow... they became so easy with the different colors, it got boring toward the end. This is one color and goes from 15 grid to 30 grid, which is really hard to see because the squares are so small. That's my only complaint...the grid is too small. Otherwise, I can't wait to try the rest of this series. Rated 5 out of 5 by aday762 from Ouisyanding nonogram. Wish these folks would put out more like this. Rated 5 out of 5 by DaveInSacramento from Wonderfull I absolutely love nanograms. The only problem is that they never are challenging enough at the higher levels. Not so with this game. You have to be completely on the ball to avoid any miss clicks in the end games. Rated 5 out of 5 by sabinesa from Absolutely best Nonogram Series ... ever! I am the analytical type and this type of game is right up my alley. The Gizmo developers have outdone themselves really getting into the heart of what makes a Nonogram rock. The first thing any gamer should do with any game, in my humble opinion, is to check out the "options". If the folk that gave Gizmos a bad rating would have done that they would have realized that all of what they were moaning about is actually under their control and that's exactly what makes Gizmos and the 2 further ones in the series so special. 1. Autofill - what a marvelous idea and now I don't even ever want to look at a Nonogram that doesn't offer that. This means that once you have filled all the given spots in a row/column it autofills the rest with blanks, so no more mindless clicking to get that done. 2. System cursor - a must in a game were precision clicking is important. On some displays the custom game cursor is fine, on most it isn't good enough (I wished this lesson was learned by the HO developers). 3. Turn off background images - again, to be able to work a Nonogram properly background pictures are distracting and make it harder to see the rows/columns 4. Sizing of the game field, which in turn will size the individual intersecting fields. For me it didn't look right when the squares were not true squares but stretched in one dimension, so I just sized it to fit my visual taste. 5. Great fun music that didn't get boring or tedious after sitting over various pictures for hours while at the same time being calm enough to not give one half a heart attack, so very fitting the type of mood a Nonogram creates. 6. Fun story line - not that that really matters in a Nonogram, but what a nice surprise. 7. Lots of lekker, increasingly harder levels with super well drawn images, that were real fun to look at. 8. 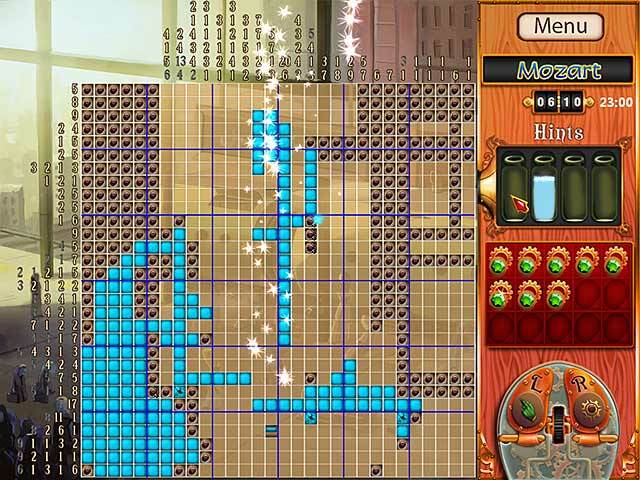 Good challenge without overdoing it with a board up to 30x30 9. A neat, challenging but achievable scoring system with being able to get standard, silver or gold. Loved it and did so many of the images over to better my score. It was also displayed in a neat way were one from each page could immediately see which image one didn't get a good score. 10. Hints available ... for a price. Again, well executed, achievable and neatly fitting into the overall experience. In Summary, if you are looking for a great Nonogram look no further than the 3 available Gizmo games, they really nailed it on the head - just don't forget to tailor the options to your liking. 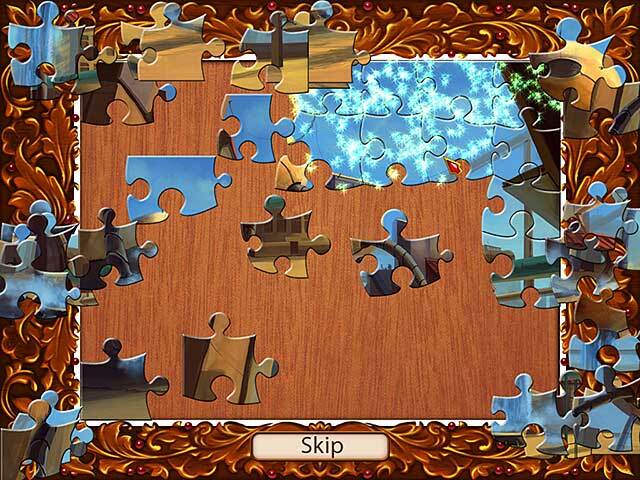 Rated 5 out of 5 by OnWisconsin from Gizmos R Best nonogram puzzles Ever I adore Gizmo's games. Best part..The game "finishes" the rows for you! Great Feature!!! Wish aII Nono games wound do this. U won't be disappointed. They get harder as U progress, but worth your time & Effort. Enjoy!! Rated 5 out of 5 by rolltide01 from All the Bells and Whistles! I will buy everyone they release! 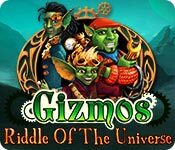 Rated 5 out of 5 by moonchild8 from Gizmos Riddles of the Universe This is the first time I played these sort of games so it was a bit difficult at first but after a couple of puzzles I got the hang of it. So I simply like to say "I love it". Rated 5 out of 5 by anythingbutwork from Challenging yet relaxing I love these types of games because I can play for 15 minutes or so for a break. This game was great because I could skip puzzles and continue on. I used the auto fill in to make it easier. 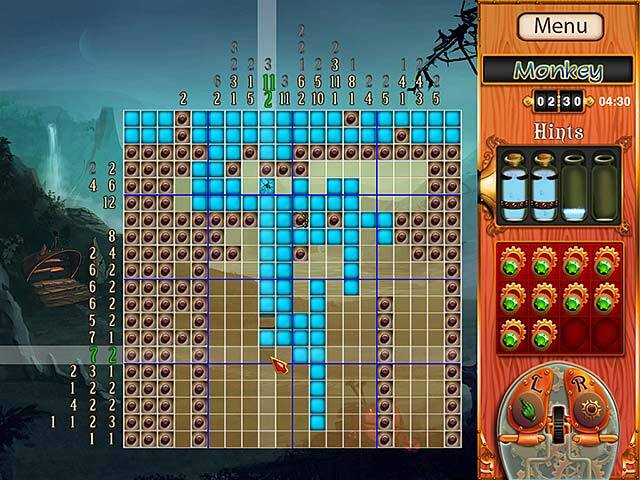 Rated 5 out of 5 by Etrage from Great nonogram game Great game for hanjie puzzle lovers. Extra touches like storyline, minigames and achievements make this game really addictive. Nice interface too. A mysterious device has crashed into Kurt the Mechanic's garage. Help Kurt and his friends decipher its strange message!